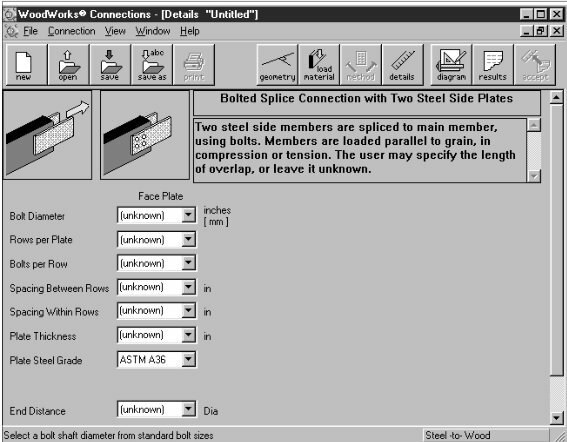 WoodWorks consists of three modules packaged in a cost-saving Design Office suite. 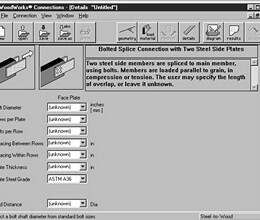 Sizer Software: Size beams, joists, columns and wall studs, one at a time or in a system, under various load conditions. Shearwalls: Automatically generates seismic and / or wind loads following either ASCE7-05 or UBC 97, distributes them to shearlines based on flexible and rigid diaphragm analysis, and designs wood perforated (no hold-downs at openings) or segmented shearwalls to resist them. Connections: Design new connections using bolts, nails or shear plates, or check the capacity of existing connections. To demo the software, please use "DEMO" as the keycode. The demonstration versions are fully functional, except that you cannot print or save files, you are restricted in the materials you can use. * WoodWorks download link provides demo version of the software for Canadian Edition and US Edition. No one has rated WoodWorks yet. Be the first to rate this product.